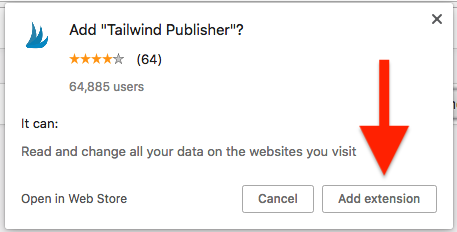 Right click (or two finger tap if you are on a Mac) the Tailwind Icon in the tool-bar. 2. Click "Remove from Chrome..."
Helpful Tip: Another way to remove the extension is to go to your Chrome Extensions Menu (Window > Extension). 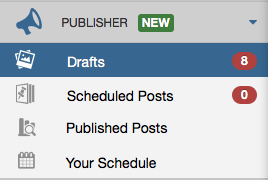 Find Tailwind Publishing Extension and click the trashcan icon to remove the extension from your browser. 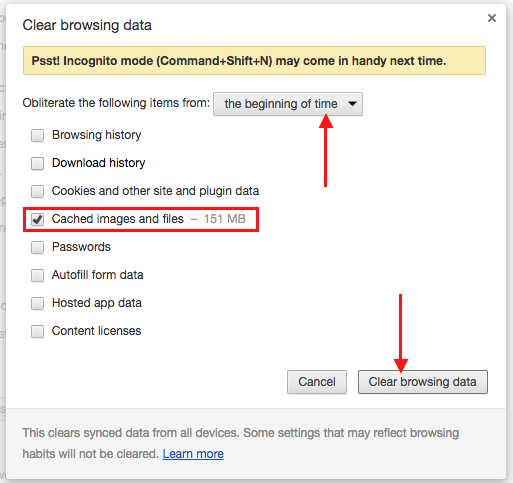 The second thing we suggest is to clear the cache, or previous stored versions, of the extension from Chrome. Go to Chrome's Preferences and then to History. Click Clear Browsing Data and in the pop-up box select only Cached imaged and files and finally click Clear Browsing Data. Helpful Tip: We also recommend choosing from the beginning of time from the "Obliterate the following items from" drop-down.